A man in Hermosillo, Mexico used an NES Zapper to rob at least one bank. The inventive thief took the Nintendo gun, which is normally gray with an orange trigger, and put black duct tape on it to make it look like a real firearm. The results are less than spectacular, as one can imagine, but one has to applaud this type of creativity that also makes sure that no innocent people are going to be hurt during a robbery. Authorities in Mexico say that the unidentified man was able to successfully rob more than one bank in the Hermosillo area, but it isn't clear if he used the NES Zapperfor all of them. During his last heist, bank tellers were able to provide a decent description of the man, which led to his arrest shortly after, which is where authorities saw his choice of weapon. The NES Zapper, which you can see below, wasn't even fully taped up, so there are spatters of gray and orange that can still be seen in the areas that weren't taped up well enough. The robber used one of the original NES Zappers that were mostly gray. Later, the gun was rereleased with an orange and white color scheme for safety reasons. At that time, toy guns were moving away from black coloring in an effort to make sure that police officers did not think that kids were running around with a real firearm. This is why this specific "armed" robber needed to color in his NES Zapper to make it look like a deadly weapon instead of a toy that is over 30 years old. The man responsible for the robberies is currently being investigated for 15 other offenses, including the aforementioned other robberies. 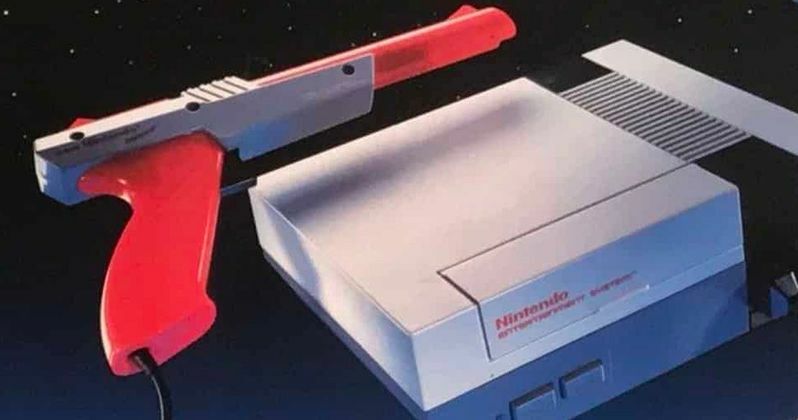 This is the first time that authorities in Mexico have seen anyone rob a bank with a NES Zapper that was originally intended to play Duck Hunt with back in the day. In addition to Duck Hunt, the Zapper was used for Hogan's Alley, Gotcha!, Bayou Billy, Operation Wolf, Wild Gunman, and a bunch of other games. The NES Zapper was later updated in 1990 to include a scope for greater accuracy. It's pretty amazing that someone would think to pick up an old NES Zapper and then think about robbing a bank with it. It's clearly a toy, but with the black duct tape and the adrenaline of getting robbed, he probably could have used just about anything to complete his mission. Thankfully nobody was harmed during any of the robberies and the man responsible is currently behind bars, where he will likely be for quite some time now. This story was originally reported by Cronio. You'll need to run a translator on the page if you cannot read Spanish. Additionally, you can check out the duct-taped NES Zapper below.